The first book on the history and culture of the people for whom Missouri is named has been published. Arrow Rock State Historic Site Administrator Michael Dickey has written The People of the River’s Mouth: In Search of the Missouria Indians. 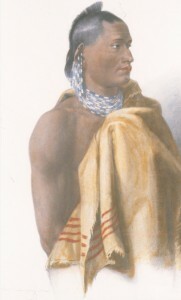 This painting of a Missouria warrior was done by Swiss artist Karl Bodmer in 1833. Credit: Missouri Department of Natural Resources. A program on his book will be presented Thursday at 7 p.m. at the Missouri State Archives in Jefferson City. Dickey says it was about time someone compiled the information that exists on the Missouria. So how did these people come to be called Missouria? Dickey explains, “Very typically, almost all the Indian tribes in North America, we know them by names that their neighbors called them, not what they called themselves. 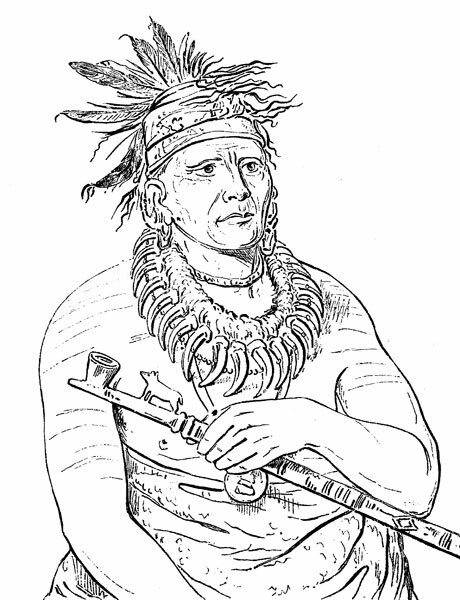 Once the name got put on a map, that seemed to be pretty well it.” He explains that “Missouria” comes from the Algonquian language name, “Oumessourit,” used by a Peoria Indian guide for Father Jacques Marquette when he first encountered the Niutachi in 1673. Dickey says he compiled information from French and Spanish archives and archaeological findings. He also spoke to some people who, though not recognized by some agencies, claim to be Missouria. Dickey says there has been extensive archaeological work done on Iowa, Wisconsin and Missouri sites that has been connected to the Missouria as part of a larger cultural group, the Oneota. “The Oneota are basically the proto-historic predecessors of the people that we know today as the Otoe, Missouria, Iowa and the Ho-Chunk.” He says one of the Missouria’s main villages is at the present day Van Meter State Park in Saline County. 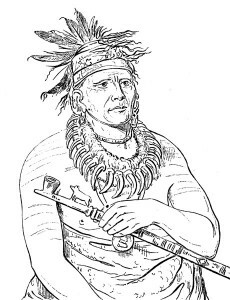 It was the daughter of a Missouria chief who married French explorer Etienne De Veniard, Sieur de Bourgmont in the early 1710s and bore him a son. Her return from France is pictured in a mural in the Missouri State Capitol.